The strong increase in investments in the Exchange Traded Fund (ETF) sector of the Toronto Stock Exchange has been highlighted by the exchange’s operators. TMX Group said Thursday that the ETF sector of the TSX has reached a record high of approximately $150 billion in assets under management as of April 30, 2018. That means that the total AUM of all TSX-listed ETFs has more than doubled in the past five years. In the first four months of 2018, the TSX listed 35 new ETFs and welcomes 3 new ETF providers to bring the total to 28. "The ETF sector is experiencing unprecedented growth as Canadians continue to choose these innovative products as a means of diversifying their investment portfolios," said Loui Anastasopoulos, President, Capital Formation, TMX Group. He added that the TSX will continue to support the growth of sector for sustained success into the future. The TMX Group launched its cross-Canada ETF Exchange roadshow geared to advisors and portfolio managers last month in Calgary and there are events in Toronto on June 5 and London on June 12. The group is also the sponsor of the inaugural Inside ETFs Canada conference in Montreal on June 21-22, 2018. 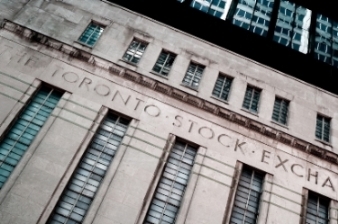 "Since the launch of the world's first ETF here 28 years ago, Toronto Stock Exchange has supported the ETF industry along its evolutionary path to becoming a mainstream investment vehicle,” said Anastasopoulos.